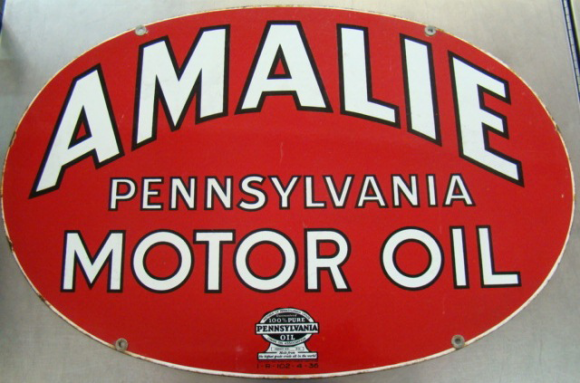 This is an oval Amalie Pennsylvania Motor Oil porcelain sign. This particular Amalie Pennsylvania Motor Oil sign is predominantly red with white text. It reads, “Amalie Pennsylvania Motor Oil” and features the Amalie seal of quality at the bottom of the sign.